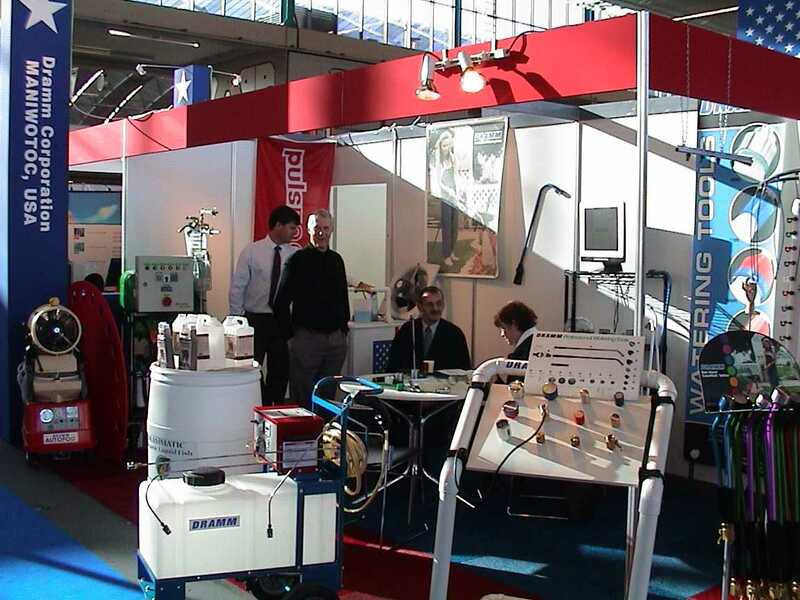 Amsterdam, NL- The Dramm Corporation joined several other North American manufacturers in exhibiting in Amsterdam at the NTV this past November. This makes the sixth time that Dramm has had a stand at the NTV. Kurt Becker, Commercial Products Manager, cited many North American visitors as a reason to travel to Amsterdam each November. "We often see many growers here that we rarely see back home. This is the place where everything is on display. It is a must see for every grower. If we aren't here, we would be missed." In addition to seeing Americans and Canadians, Dramm sells its products worldwide and the NTV offers a great platform to reach many different countries. Finally, Dramm offers its watering tools to European growers. The NTV offers a location where growers can get to know the Dramm Corporation.